Parke Muth is a world-renowned expert in the field of admission to selective U.S. colleges and universities. 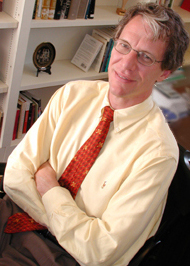 From 1984 until September 2011, he held a number of leadership positions within the University of Virginia's Office of Admission, the last being Associate Dean of Admission and Director of International Admission. For the past three decades students, parents, secondary schools, and universities have sought Mr. Muth's, knowledge, advice, and instruction on all aspects of the college admission process. Applications to selective schools have been rising by double-digit percentages each year for the past decade. Parke Muth Consulting, LLC (PMC) provides the opportunity for a select number of families to work closely with him to achieve a successful outcome to the university search. The stress and confusion in the admission process has never been higher. Under Mr. Muth's personalized attention college applicants will proactively target a carefully designed list of U.S. colleges and universities. Mr. Muth comes to each student and family with a systematic and rational approach. In some cases, this can begin as early as the ninth grade. More typically, Mr. Muth begins working with students during their junior or senior years of secondary school. Drawing on his familiarity with the myriad U.S. higher education opportunities, he assists families in finding the educational choices that match best with a particular student's unique abilities, talents, and interests. Copyright © 2013, Parke Muth Consulting, LLC. All rights reserved.